Publisher: Crosby Lockwood & Co., London, 1877. Hard Cover, 120 pages, 5.0 x 7.5. Here is a concise outline of brewing practices as performed in 1877 for the beginning brewer. 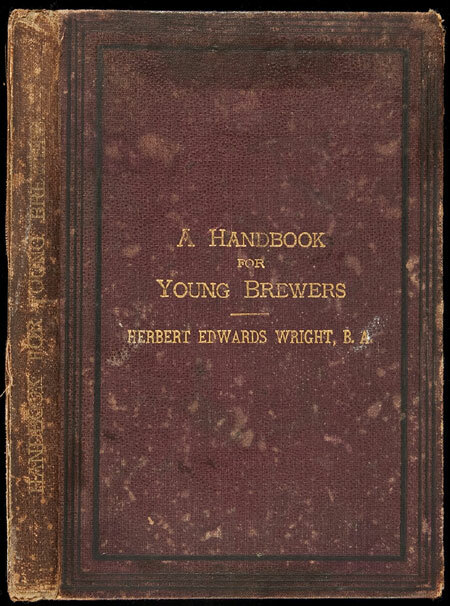 The book is intentionally easy-to-read without an abundance of scientific discussion, intended to start the young brewer off wiuth a fundamental understanding of the major aspects of brewing practice. The book also contains a bit of information regarding the running of public houses (pubs). Chapters include Introductory; Barley, Malting and Malt; Water, Hops and Sugar; Mashing and Boiling; Fermentation; Pale Ale, Black Beers; Bottling; Export; Plant; Cleaning; Hiring and Letting Public Houses; For of Agreement for Public Houses.